Looking back at Closure’s launch. Every creative idea needs someone who believes in it. 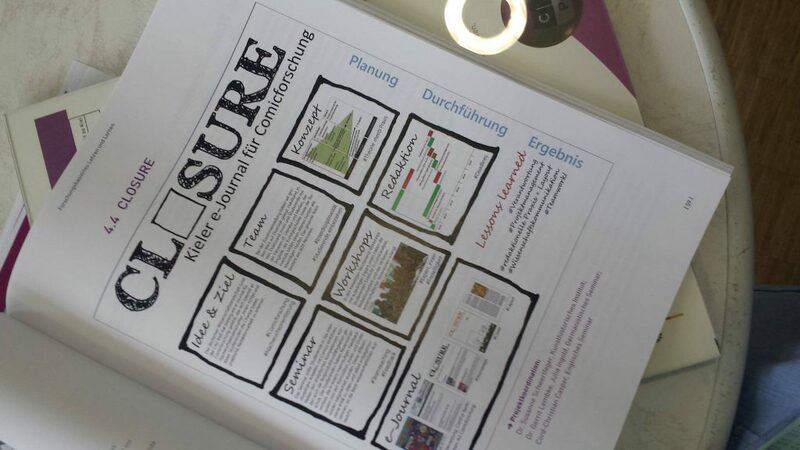 In the case of Closure, we had the backing of PerLe, the Kiel University Project Successful Teaching and Learning, for the launch of our very first issue. A year later, we were able to present our concept at the Kiel University 2014 Teaching Day. Now, shortly before Closure#3 launches, the new PerLe project brochure is mentioning us as a good example for a successful project. As always, I’m immensely impressed with all the beautiful and hard-working people behind Closure.